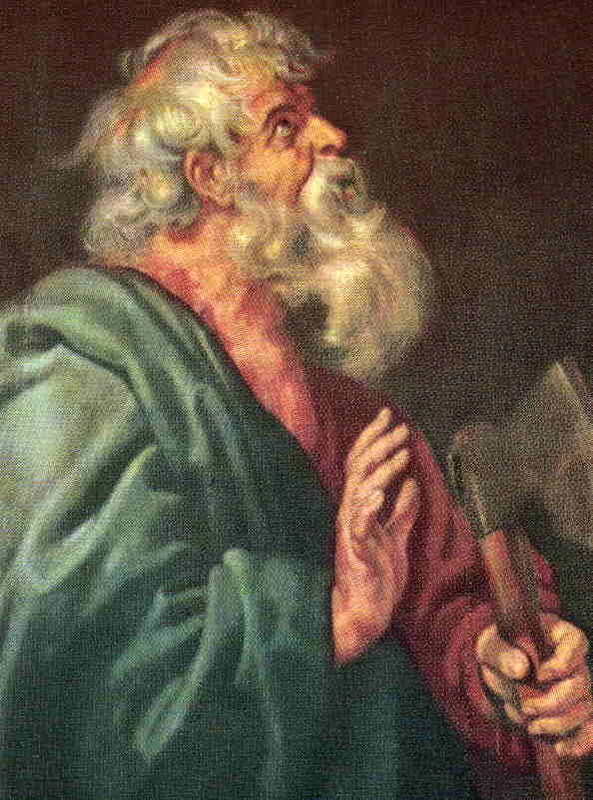 Saint Matthew, also called Levi, was a wealthy tax collector in Capharnaum when Jesus called him to be an Apostle. His is the honor of having written the first of the Gospels, in which the whole of the Sermon on the Mount is recorded. How pleasing must thy humility have been to our Lord; that humility which has raised thee so high in the kingdom of heaven, and which made thee, on earth, the confidant of Incarnate Wisdom. The Son of God, who hides His secrets from the wise and prudent and reveals them to little ones, renovated thy soul by intimacy with Himself, and filled it with the new wine of His heavenly doctrine. So fully didst thou understand His love, that He chose thee to be the first historian of his life on earth. The Man-God revealed Himself through thee to the Church. She has inherited thy glorious teaching; for the Synagogue refused to understand both the divine Master and the prophets His heralds. There is one teaching, indeed, which not all, even of the elect, can understand and receive; just as in heaven not all follow the Lamb whithersoever He goeth, nor can all sing the new canticle reserved to those whose love here on earth has been undivided. O evangelist of holy virginity, and martyr for its sake! watch over the choicest portion of our Lord’s flock. Remember also, O Levi, all those for whom, as thou tellest us, the Emmanuel received His beautiful name of Savior. The whole redeemed world honors thee and implores thy assistance. Thou hast recorded for us the admirable sermon on the mountain; by the path of virtue there traced out, lead us to that kingdom of heaven, which is the ever-recurring theme of thy inspired writing.